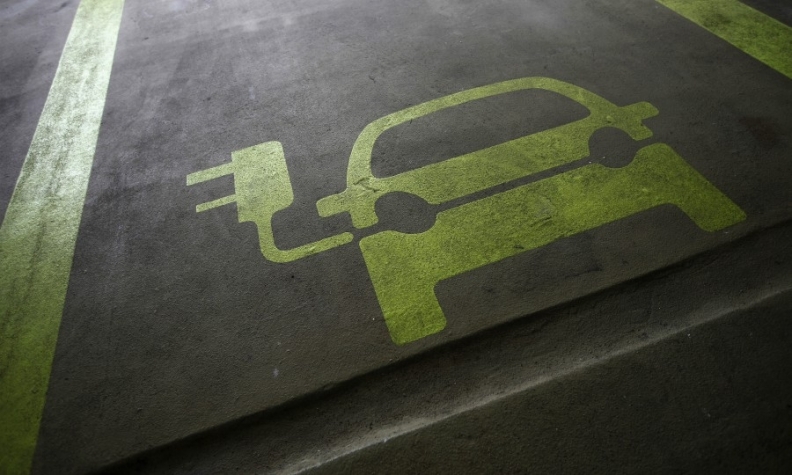 PARIS -- The French government has pledged to work with automakers and major suppliers to increase sales of electric vehicles sharply and build up the network of charging stations, as part of a new "strategic contract" with the automotive sector. The Document, developed by the economic ministry with industry input and signed by CEOs from Renault, PSA, Valeo, Faurecia and Michelin at an event Tuesday in Paris, is meant to help the industry confront "technological disruptions" such as electrification and autonomous vehicles. The document, for the years 2018-2022, also has provisions to encourage testing of autonomous vehicles and help employers hire skilled workers. A 135-million-euro fund will support research and development. "The automotive sector will see upheavals that it has never experienced during its existence," said Luc Chatel, a former education minister who is chairman of the trade association PFA. "The survival of the automobile in France is at stake." About 400,000 people are employed in 4,000 automotive-related businesses in France, with a total revenue of 155 billion euros, and exports valued at 49 billion euros, the government said. A similar contract was created in 2012 to increase competitiveness during the European economic crisis. Last year, 24,910 EVs were sold in France, a tiny increase over 2016, when 21,752 were sold, according to the constructors' organization CCFA. Market penetration was just 1.2 percent. The government hopes to multiply annual sales by five times in the next three years. To support that goal, it will maintain economic incentives for electric and alternative-fuel vehicles, and work with utilities to develop the charging network to the point where there is at least one station per 10 electric vehicles. In addition, a fund for future research and investment that was started in 2009 will be revitalized with 135 million euros, with a focus on battery cells. The government is also setting aside up to 200 million euros to support testing of autonomous vehicles, with a particular emphasis on public transit. To help companies hire skilled workers, the government will expand apprenticeship programs by 50 percent. It estimates that 25,000 new automotive jobs will be created by 2022, including 14,000 engineers and technicians and 9,000 factory workers.